We humans have a hard time realistically judging size and distance. Whether it's the amount of dessert that makes up "one serving" or the proper distance between cars on the freeway, we always tend to over- or underestimate to our own advantage. 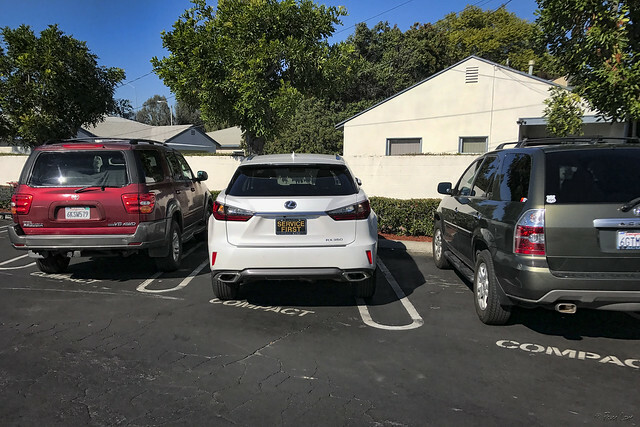 This was made very clear to me the other day when I saw this line of large cars, all parked in the spaces marked for compact cars only.